The electric shock pen is the ultimate gag gift. Looks and feels just like a real pen, but once you touch the tip you get a nice jolt. Perfect deterrent for that typical office klepto. Great novelty gift for family and friends. Battery included. 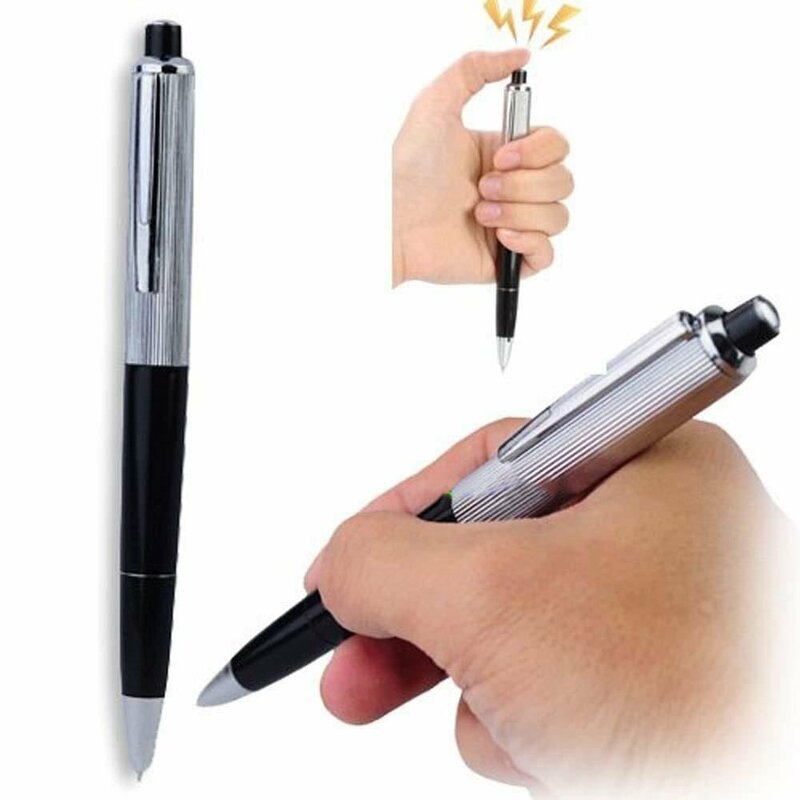 It looks like a common ballpoint pen that will give your friends a shocking experience when they try to use it. This trick prank toys pen gives a mild shock when the top is pressed.